Christopher, from the US, and Regina Catrambone, originally from Italy, make their money from insurance and medical care but it’s how they are spending it that’s making waves. 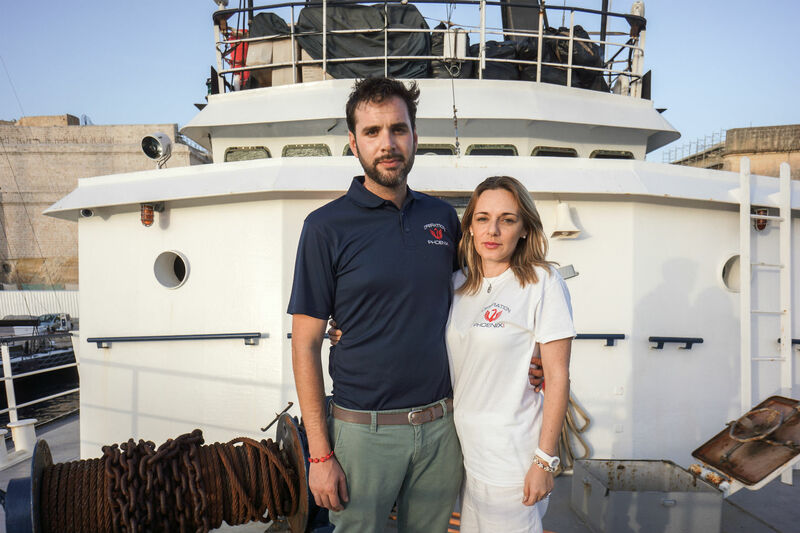 While political leaders argue over what can be done about migrants crossing the Mediterranean to get to Europe, the wealthy couple have bought a boat to rescue people from the water. Yes. The 131ft former fishing vessel, the Phoenix, costs them about £300,000 a month and they have spent millions on the project, Migrant Offshore Aid Station (MOAS). Britain’s HMS Bulwark set off yesterday – the Phoenix has already saved more than 3,000 people and it is kitted it out with high-tech search-and-rescue equipment, including two drones. They also hired a team of experienced rescue professionals, doctors and nurses. The Phoenix launched in August last year and just six days later carried out its rescue after Italian authorities told the crew about a trawler carrying Syrian migrants that was capsizing. While the international community dithers, they are already planning another mission. The Phoenix sets sail again on Saturday.